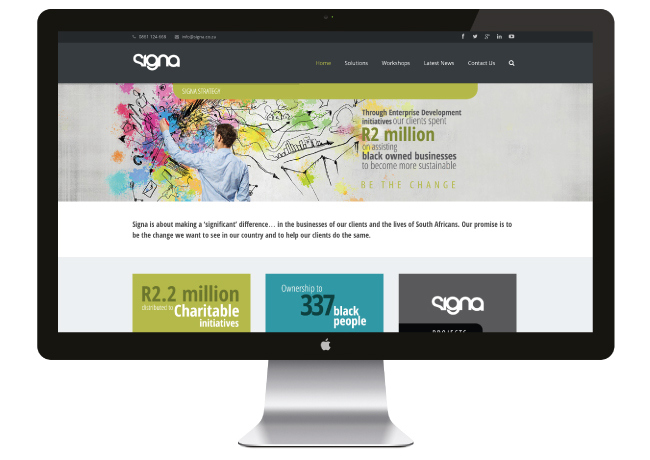 Signa is about making a ‘significant’ difference… in the businesses of our clients and the lives of South Africans. Our promise is to be the change we want to see in our country and to help our clients do the same. New website design and development for Signa. Signa is about making a ‘significant’ difference… in the businesses of our clients and the lives of South Africans. Our promise is to be the change we want to see in our country and to help our clients do the same. Below is the new website we designed and developed for Signa.